NEFAR hosted Bunnell Blast the weekend of November 9 and 10, 2013. The two-day launch featured a range of flights from tiny MicroMaxx-powered rockets to huge, M-powered brutes. A large collection of photographs from the event can be viewed in the RocketReviews.com Bunnell Blast 2013 Photo Album. 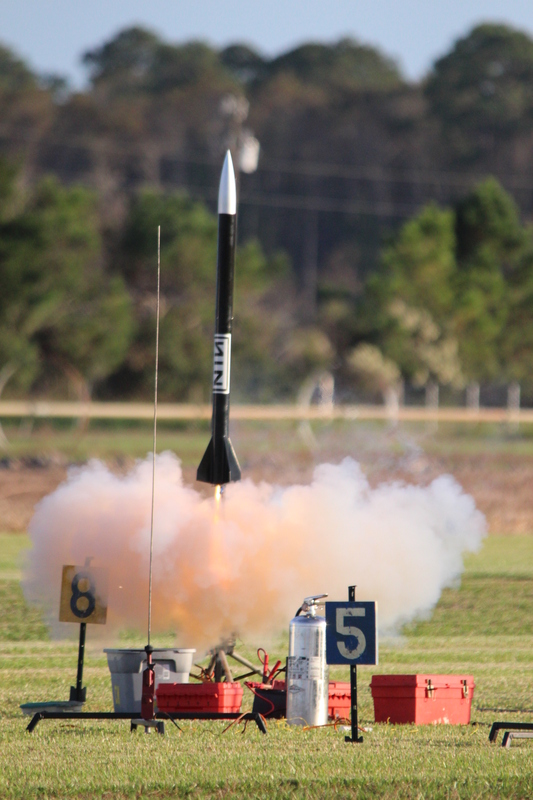 This entry was posted in NEFAR Launches and tagged bunnell blast, nefar, photographs, rocket launch by Roger. Bookmark the permalink.